A clean restaurant can make all the difference in the world. Standards of cleanliness are especially important whenever food is present. When these standards are met, customers tend to come back again and again. When they are not, a customer can be lost for life. People are especially critical in restaurants because they can be. A restaurant down the street could offer better dining and a cleaner atmosphere. This is why a restaurant cleaning service is so important to the profitability of a business. Never underestimate the power of clean. Not only will customers come back to a restaurant with a clean environment, but employees will work better too. When the nitty gritty is taken care of after hours, it’s easier for bussers and servers to clean up and re-set tables knowing they can leave the rest to the best. Also when professional restaurant cleaning technicians are doing the job, you can rest assured they have been trained in all necessary food safety precautions so nothing will be contaminated in the morning. All teams must comply to FDA and EPA standards and specifications. Skilled restaurant cleaning technicians are also trained in cleaning especially challenging commercial appliances like griddles, fryers and stovetops. They will attend to the details tired servers and bussers simply don’t have time to get to before the night is over. Many restaurants outsource their cleaning for this reason, so there are many opportunities to find an excellent cleaning service. Jani-King is a leader in restaurant cleaning services, offering highly skilled technicians and customer service—something those in the restaurant industry will really be able to appreciate. 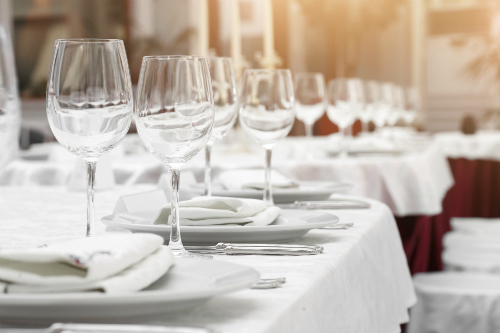 From the bathrooms to the kitchen to the main dining room, the only way to ensure that a restaurant is clean, is to hire an experienced commercial cleaning service. The investment will most likely come back two-fold in profits.